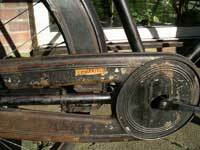 This very large frame Ariel dates to around 1925. It has no Biflex tubing. 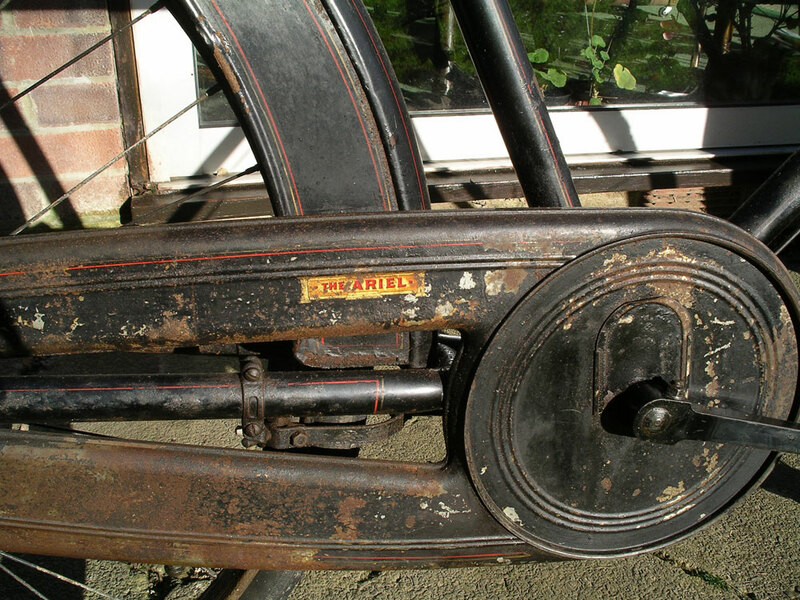 Crabbe brakes are fitted.It has an oil-bath chaincase with an Ariel decal that dates back to 1908-10. Ariel seem to have re-used these early decals in the early 1920's. 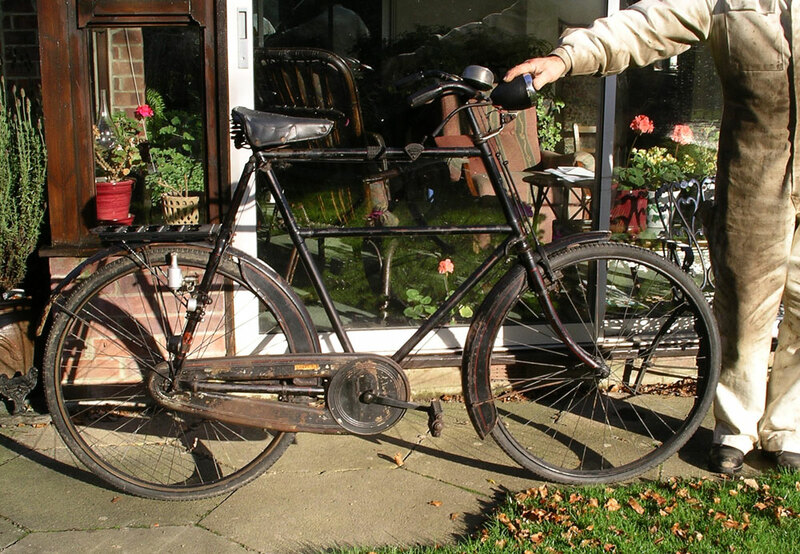 The cycle is an All-weather model, black all over, no plated parts and with valanced mudguards.